Depending on where you live, your gutters may need a lot of help. Take a few minutes to do a quick overview of the condition of your gutters—cleaning them out is a great first step to making them more efficient in getting excess water away from your home. You should also make sure that all of the connections are in good condition and that downspouts are secure. Finish up by spraying them down with a quick power wash to restore them to their original color. Your front door should look just like that—a front door. 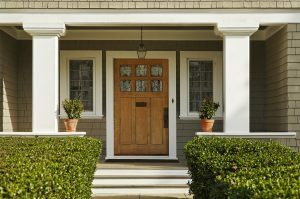 Be sure guests don't have to guess where your front door is by dressing it up and turning it into a welcoming entryway. Consider repainting it with a fresh coat of paint or hanging a seasonal wreath. You could also add some touches like a welcome mat, or planting flowers in a pot underneath the doorbell. 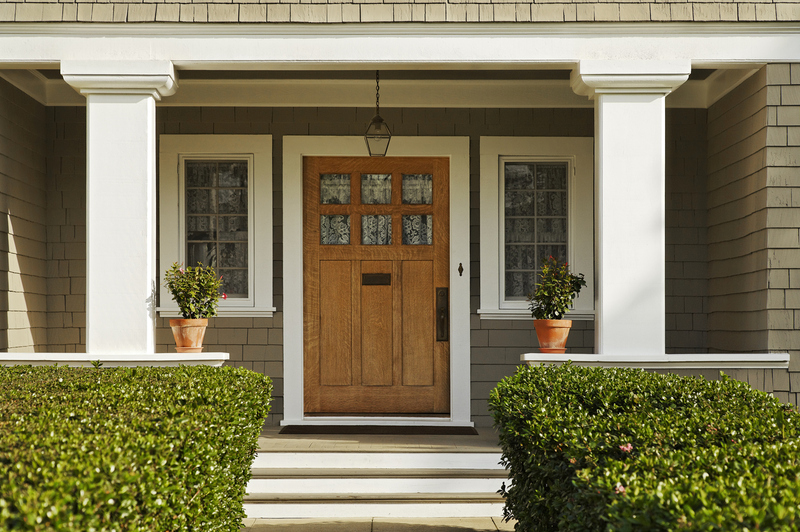 Dressing up your front door is an easy way to add appeal to your home. Is your yard looking tired? One of the best ways to instantly provide a fresh look to the exterior of your home is to add new mulch to flower beds and around trees. Mulch can provide a polished look to your yard, as well as offer plants moist insulation to keep them hydrated. An added benefit is that mulching also helps to deter weeds from popping up. You may not think that people notice your mailbox, but it can be one of the first things that a guest sees when they drive up to your home. Spruce up your mailbox by giving it a fresh coat of paint or personalizing it with your last name. Other options include adding some flowers around the bottom of the stand, as well as making sure that it is secured in the ground and isn't leaning to one side. Adding a few window boxes underneath the windows in the front of your home is a great way to instantly add interest and natural beauty to your home's exterior. Choose from a wide variety of window box styles and colors that'll compliment your home. Plant flowers that'll add pop like daisies, marigolds, or even wave petunias that'll cascade over the side of the box. Fixing up the exterior of your home doesn't have to become a week-long project. There are many different things that you can do quickly that'll add beauty to the outside of your home. Consider making all of these quick fixes in order to spruce up the exterior of your home this summer! Rachael Baihn is an avid gardener, both indoors and in her backyard sanctuary. She can often be found exploring the Austin Greenbelt or enjoying the company of neighborhood dogs. She recommends LawnStarter for your lawn care needs.